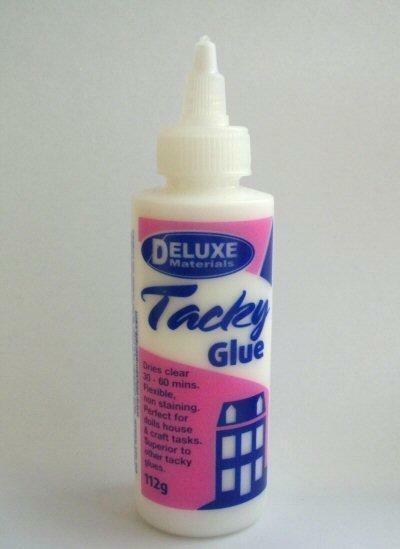 Good multi purpose glue from Deluxe Materials. Ideal for the 1/24th and 1/48th wood kits. Very sticky and flexible. Will stick fabric, paper, wood, china and plastic. Easy clean up with water. Dries clear, non staining. 112g bottle (15cm high x 4.2cm wide).